The Pentagon’s new personnel system for cyber employees is still in an experimental stage after having taken years to get off the ground, but it does appear to be achieving at least one of its intended objectives: Speeding up the federal hiring process. 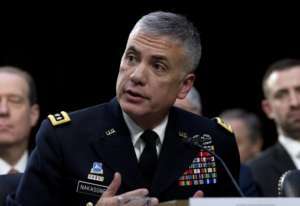 So far, new employees coming in under the Cyber Excepted Service (CES) are being hired in less than half the time it took to hire them within the traditional competitive service, according to Gen. Paul Nakasone, the commander of U.S. Cyber Command. Gen. Paul Nakasone, the commander of U.S. Cyber Command, speaks to Congress on March 13, 2019. Nakasone told members of the House Armed Services Committee last week the average time-to-hire under CES is about 44 days, compared to 111 days before CYBERCOM implemented the excepted service. When Congress authorized CES in 2015, it gave DoD wide discretion to recruit employees into the new personnel system via any means they choose. They can opt to advertise positions via the government’s USAJobs website, but can also bypass it entirely and recruit candidates directly. CYBERCOM says it’s used the authority extensively at job fairs, where it can give candidate job offers on-the-spot, usually after having pre-screened their written applications. But Cyber Command, the Joint Force Headquarters-DoD Information Network (JFHQ-DoDIN) and the DoD chief information officer’s office are the only organizations the department allowed to use the excepted service during its first phase. A broader rollout — to other Defense agencies and to the cyber components of the military services — has been slow to take place, partly because the Pentagon offices in charge of implementing CES have been underresourced. Defense officials testified last month that only five full time employees in the DoD CIO’s office were working on policy and other implementation work. Kenneth Rapuano, the department’s principal cyber advisor, said last week that DoD had recently added two more staff members. 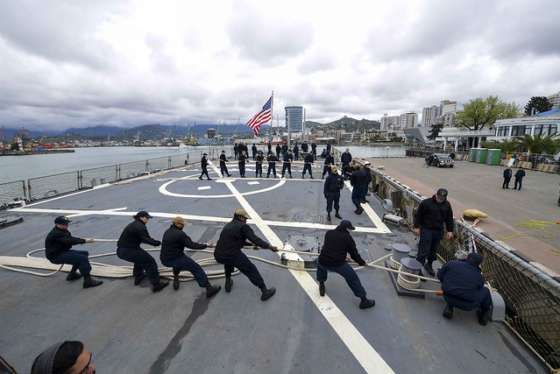 In his written testimony, Rapuano said the department currently plans to convert about 15,000 of its existing civilian positions into the excepted service, a significant increase from the 3,000 DoD targeted when it began the first phase in 2016. But only 403 jobs have been converted so far. The conversion of “positions” does not necessarily mean existing employees have moved from the Title 5 personnel system into the new excepted service. When DoD established the rules for CES, it said that current employees would be given the option to stay grandfathered into the competitive service if they chose, even if their agency had decided to convert their positions to the new system. Employees have a one-time opportunity to decide to move to CES, and have to do so within 15 to 30 days after their agency converts their position. But in its promotional materials for the new personnel system, the department has been telling people that there is no downside to moving into CES. DoD said for most existing employees, all of the civil service protections and appeal rights of the Title 5 system still apply, but they’ll be eligible for potentially-higher, market based salaries, and possibly speedier promotions, since CES doesn’t require civil servants to spend a set time in one pay grade before moving up to the next. But the rules are somewhat different for first-time federal employees who are hired directly into the excepted service. For example, unlike longtime civilians who are converting into the system, they’ll stay in a probationary status that makes them much easier to fire for the first three years of their careers.